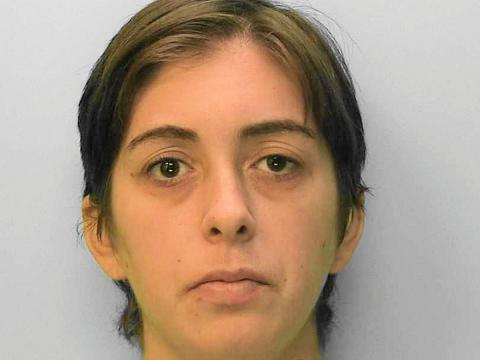 A woman who robbed a Bognor Regis pharmacy at gunpoint has been sentenced. Megan Hammond, 29, entered Kamsons Pharmacy in Durlston Drive, Bognor around 9.10am on Tuesday, December 11 armed with a gun and a knife. Hammond, of Chestnut Grove, Bognor Regis, handed the staff a list of drugs and demanded they retrieved them for her. After putting the drugs into a plastic bag Hammond fled the premises. Hammond pleaded guilty to robbery, possession of an offensive weapon and possession of an imitation firearm with intent to cause fear or violence. She was sentenced to 32 months in prison at Portsmouth Crown Court on Friday (April 11). Investigating officer PC Matt Chamberlain said: “Megan entered the pharmacy with a mask covering her face but we were able to identify her by her clothes and her voice. “Officers worked hard to put together the evidence for this case and we welcome the sentence given.